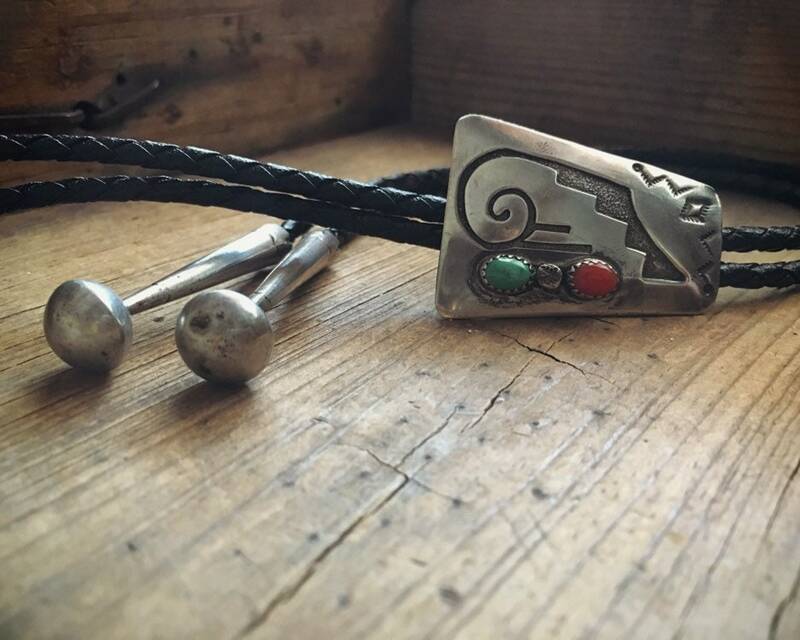 This vintage bolo is made with turquoise and coral and has traditional Native American designs in silver overlay, which is made by cutting out the design in one piece of silver and laying that over another piece--hence, silver overlay. The cut out areas are oxidized to give depth and texture. 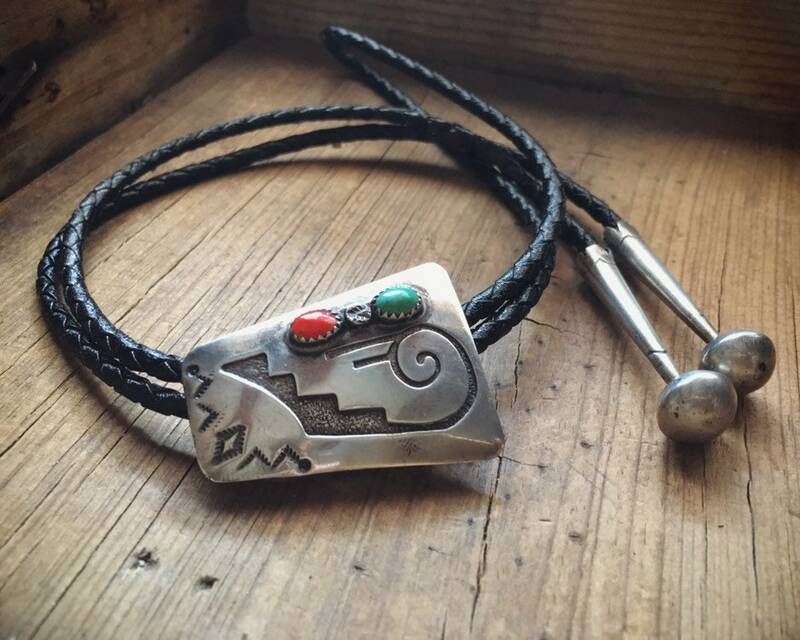 The Hopi developed silver overlay, although Navajo silversmiths also began to make pieces using this method. 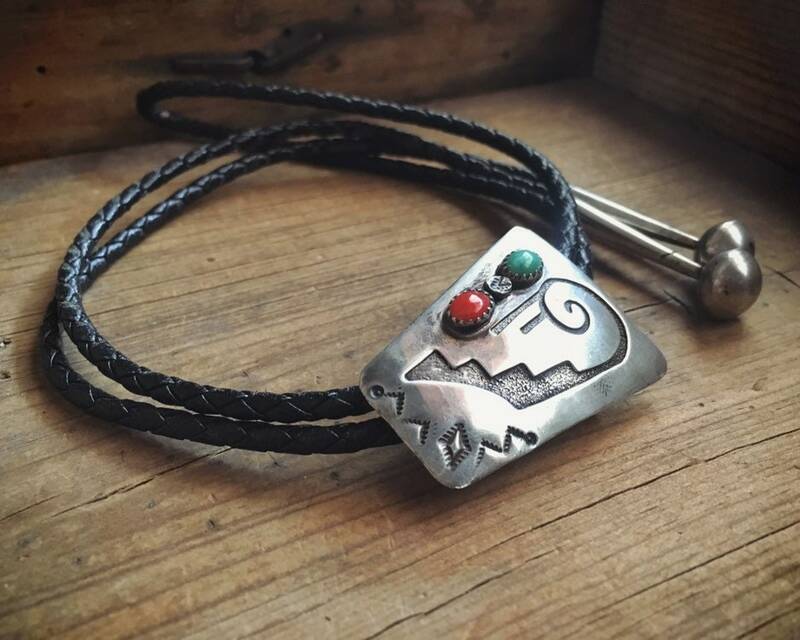 The piece carries a faint STERLING stamp on the back, and the original sterling silver tips with beautiful sculptural silver bead ends. The piece was almost black with tarnish when I got it, underneath which was a beautiful patina. I did not polish it too much, as I will let the next owner decide whether to polish it further. The back is still quite tarnished. 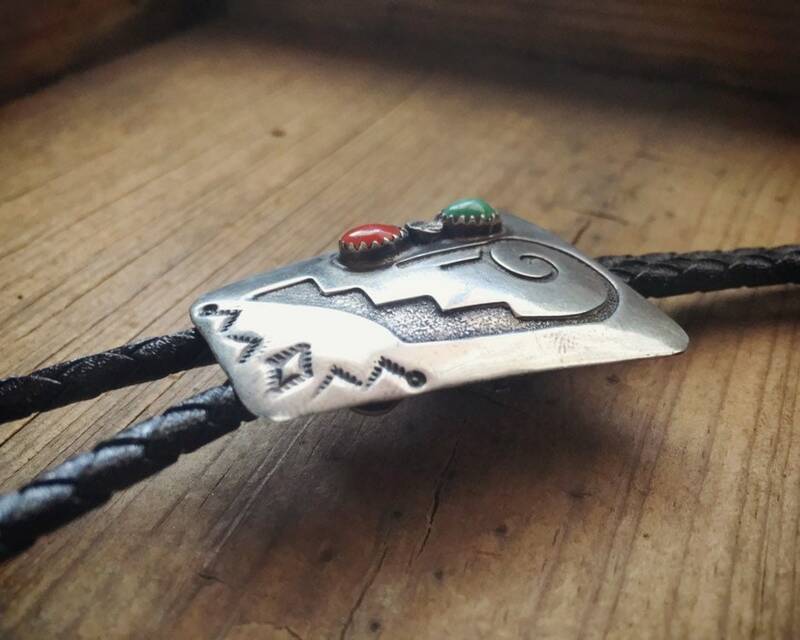 The bolo slider (the part that goes onto the leather lariat) 1-1/4" across that the widest point by 1-3/8" long. The two cabochons are each about 1-8" wide by 1/4" long. 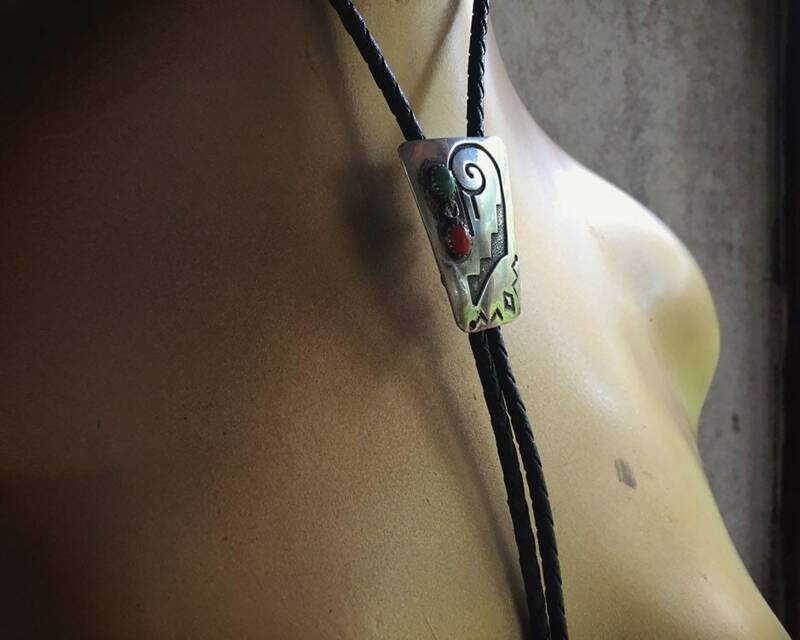 Original leather lariat is about 35" long including the tips. 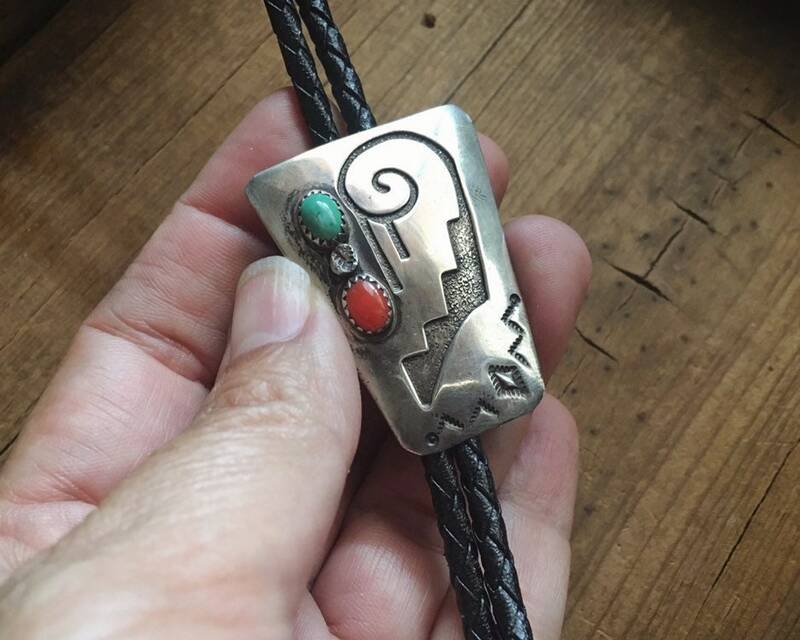 Bennett style clasp on the back to lock in the lariat. 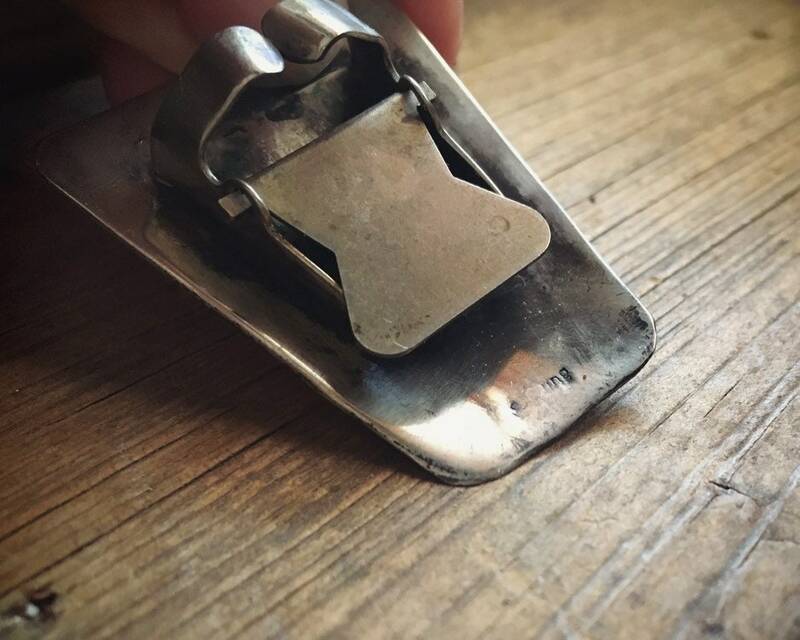 There are some small scratches on the silver, but otherwise in good vintage conditon. 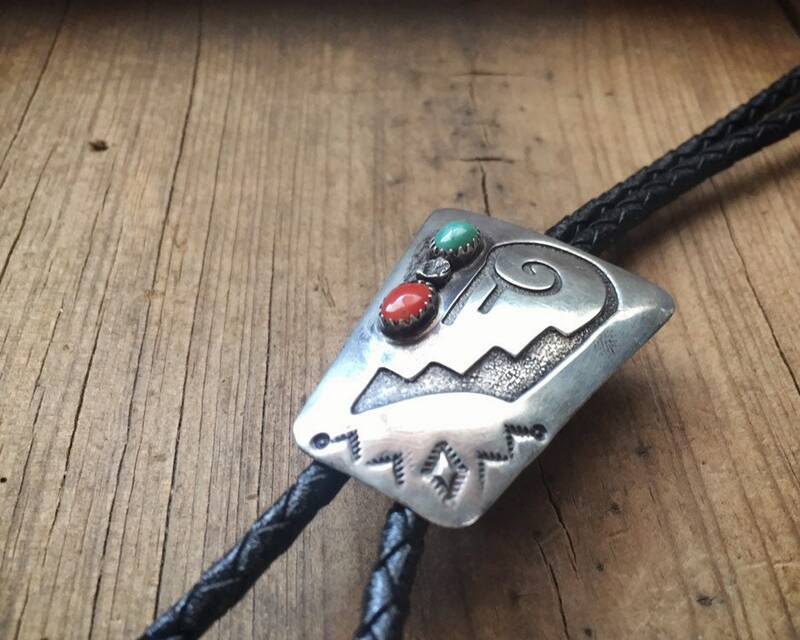 Beautiful traditional bolo--not too big yet with big presence.